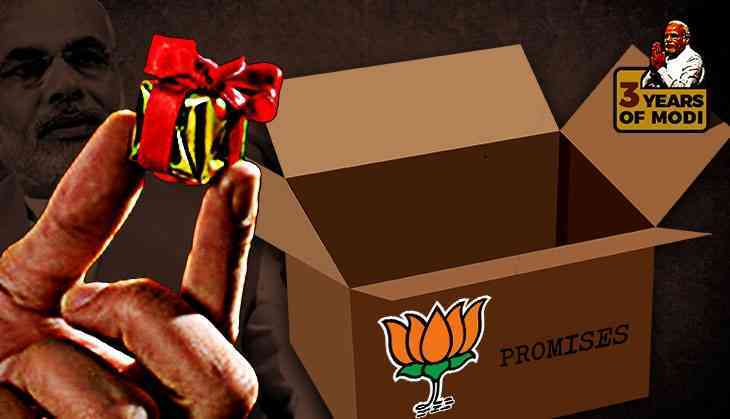 Three years into its tenure, the Narendra Modi-government has fulfilled only 11 out of the 126 promises the BJP made before it came to power in 2014, says a new study. Work is yet to start on at least 32 promises, there is inadequate progress on 50 of them and at least 2 promises have decisively been broken. The observations have been compiled by a group of young professionals as a part of an initiative called Election Promises Tracker. It claims to be “a citizen initiative that tracks the performance of governments against the promises the party made to the electorate in the fields of Education, Health, Governance, Economy, Industries and Agriculture”. The co-founder of this initiative is Anurag Kundu, who is presently working with the Ministry of Education, Government of Delhi. Kundu was previously involved in the drafting of Education Manifesto of the Aam Aadmi Party (AAP) for Delhi Elections 2015. 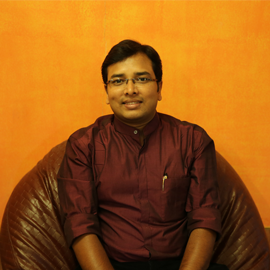 Anup Kalbalia, also co-founder, is a software professional. Only 9% promises appear to have been fulfilled, which is a very low rating for a government well past half its tenure. A total of 1,089 days of the NDA in power have been factored in. The study says two promises were broken during this period, which means the government failed to deliver on the promise within the time-line prescribed by the party during the elections. A promise is also considered broken if the government implemented an order contrary to the promise made during the elections. The only promise which, according to the study, is 'stalled' is about setting up a National Judicial Commission for the appointment of judges in higher judiciary. The study has considered it stalled because the government has initiated the process for setting it up but it is currently stuck because of a stand-off between the government and the judiciary over it. Even though the most-populated category in the project is the one with “inadequate progress” (50), there are a substantial number of entries in the “adequate progress” category as well (30). However, many of these are subject to interpretation and how much progress has been made is hard to say in black and white. For example, adequate progress has been noted on the promise of strengthening the “traditional employment bases of agriculture and allied industries, and retail – through modernisation as well as stronger credit and market linkages”. Some steps have definitely been taken in this direction, but at a time when there is glaring farm distress in the country and farmer suicides continue unabated, it is hard to say whether agriculture, as a source of traditional employment, has been strengthened. Nevertheless, the people behind the study have done a meticulous job of taking note of every step initiated by the Modi-government with respect to the specific goals.